Enhances color, tannins and flavor extraction using Pulsair mixing tank in red fermentation process. Pulsair uses Pneumatage methid to refers to management of the grape cap that is formed during red wine fermentation. In this application, a large Pulsair bubble is introduced beneath the wine cap in a fermentation tank. The bubble can be introduced from the top of the tank by using a hollow metal probe, near the bottom of the tank through a racking port, or through permanent risers installed at the tank bottom. 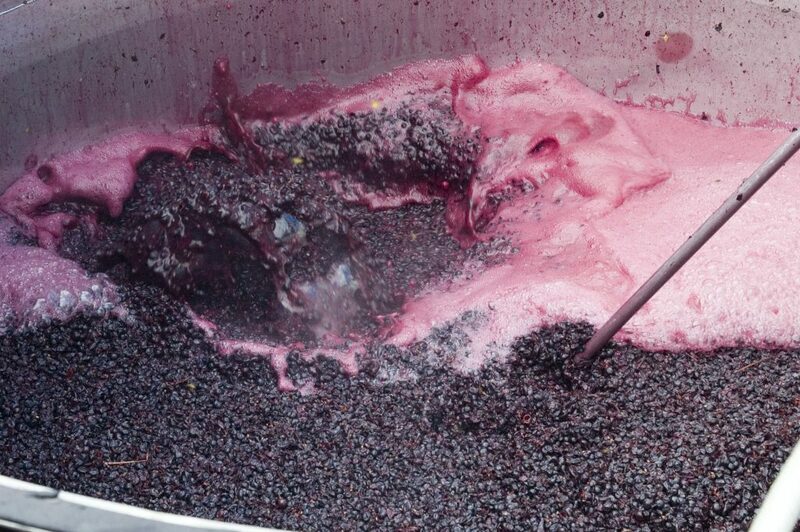 With a few pulses, the bubbles breaks through the cap and stirs the fruit into the must. All the parameters associated with the formation of the bubble (pressure, frequency and duration of pulses) are adjustable. This “Pneumatage” concept was introduced back in the 1980’s at a small winery in Eastern Washington and has grown in market size to hundred of wineries worldwide.